Please make sure you have WPML installed and activated before translating single words. If you haven’t already done so, you still can install this plugin before proceeding to the following steps. Find the string to translate and click on translations. 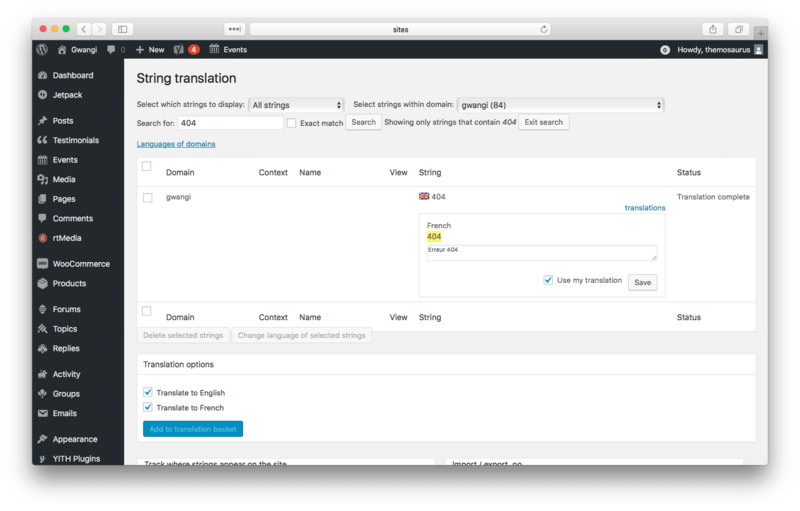 Then, create a new translation and don’t forget to enable the Use my translation checkbox.